Malaysia Brother DCP-T500W A4 3in1 Refill Tank System Inkjet Printer - Wireless malaysia Supplier Office Supplies Company KL Kuala Lumpur Klang Valley Selangor . Bigger savings and smarter design with Refill Tank System that offers ultra-high 6000 page-yield# for black ink. Optimise work productivity with wireless networking capability. 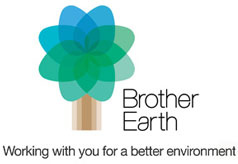 - Brother's 4-bottle refill tank system allows you to refill only the colour that runs out.